Singita Mara River Tented Camp is set on the banks of the world-renowned Mara River in the Lamai Triangle, the northern most tip of the Serengeti National Park, and is the perfect choice for couples or families looking for an authentic, yet luxurious safari experience. Committed to environmental sustainability, this small and exclusive permanent tented camp relies entirely on a custom-designed solar power system and is intended to complement its remote location. 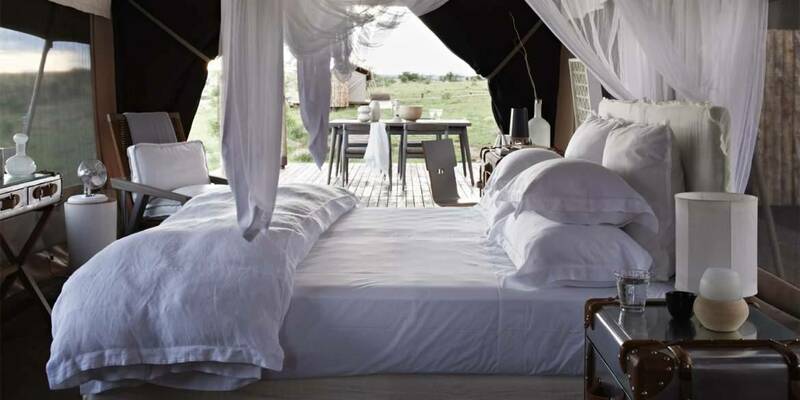 All camp structures are raised about a metre above ground to allow cool breezes flow through, and are orientated to maximise the superlative views of the Mara River. The Lamai Triangle is famous for its annual wildebeest migration crossings and the camps location provides excellent opportunities to view the crossings. As the only area of the Serengeti to remain truly game-rich all year round, guests will experience regular sightings of resident plains game, buffalo, elephants, big cats, crocodiles and hippos in the Mara River area. Not only does the Singita Mara River Tented Camp offer the most exclusive eco-luxury accommodation in the Lamai, it also provides highly knowledgeable guides to lead game drives in one of the most active wildlife areas in the Serengeti National Park. Daily game drives with professional guides and trackers offer guests the opportunity to get up close to Africa’s incredible animals; including resident plains game, big cats and elephants in the rocky kopjes, as well as hippos and crocodiles in the Mara River. Walking safaris are available providing an intense closeness to the wildlife, and also night-time game drives seeking nocturnal animals; both offering an incredible experience in addition to the daily game drives. The main communal tent consists of a lounge, bar, cocktail and dining area, with one side completely open leading out to decking overlooking the river and the refreshing plunge pool with seating area and sundeck. Contemporary African design adds a touch of bohemian glamour to the elegant living areas and sets the tone for a laid back, relaxed style. Complimentary WiFi access is provided for guests in the lounge area. The service at Singita Mara River is at the height of hospitality and the food is of Michelin-star standard, often served alfresco at unique riverside locations. Accommodation consists of six Eco-luxury spacious white canvas tent suites spread along the banks of the river, all very tastefully appointed yet impacting minimally on the environment. Natural and recycled materials are used throughout; including canvas, wood, stone and raw leather. Facilities in each tent include solar-powered plug sockets, hairdryers, fans and safes. 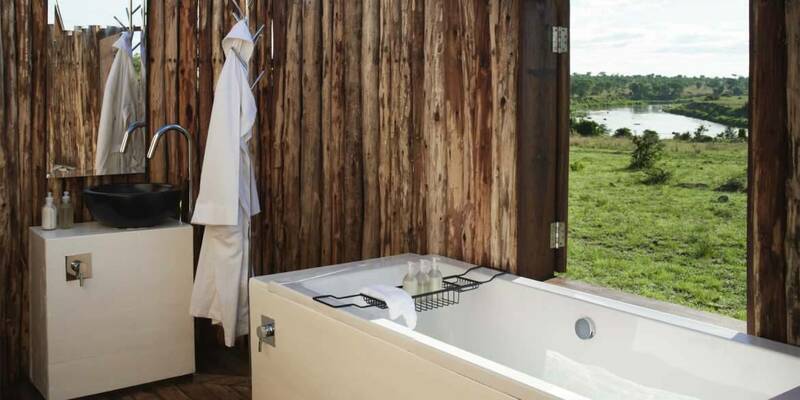 All have en-suite bathrooms with shower and a private open-air bathtub providing a decadent end-of-day experience with stunning views. 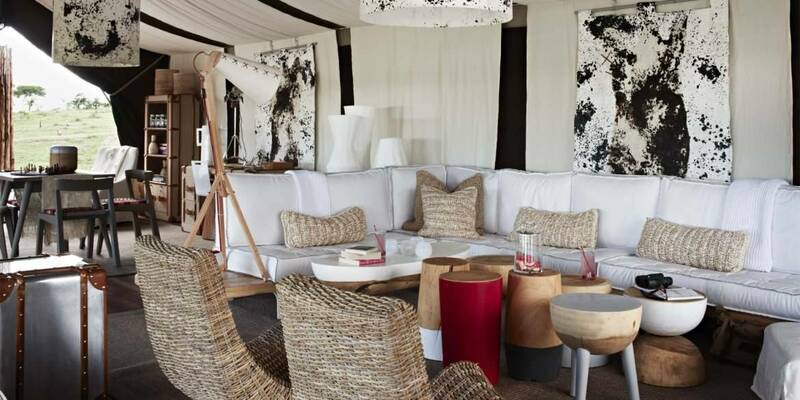 Tents are stylishly furnished in sophisticated safari-style with Maasai plaid fabrics, pale wood, retro travel chests and art by local African craftsmen. 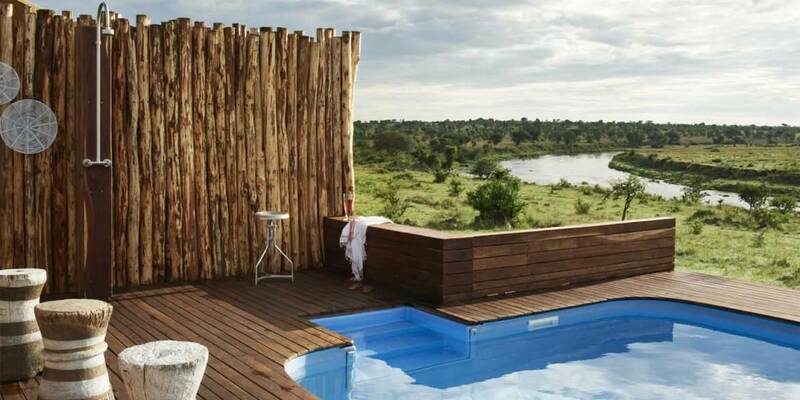 Spacious decks at the front provide the perfect spot to watch the activity in the Mara River. Four tents are for couples, while the remaining two tents sleep up to four people and are ideal for families. Singita Mara River welcomes children aged 12 and over and offers a wide range of activities including a mini-rangers course and butterfly identification.